Episode 14 of the HBCU Lifestyle Podcast introduces the new host and HBCU Lifestyle contributor, Eddie Francis. This edition features interviews Felecia Commodore and Dr. Charlie Nelms. 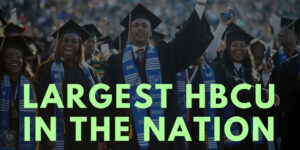 The podcast also highlights recent HBCU news from HBCU Lifestyle. Felecia discusses her blog entry 5 Reasons Why We Still Need Black Sororities Today. The conversation is filled with insights about how sororities Alpha Kappa Alpha, Delta Sigma Theta, Sigma Gamma Rho, and Zeta Phi Beta continue to serve as leadership networks and powerful engines of identity for black women. Felecia is a third year Ph.D. student in Higher Education at the University of Pennsylvania’s Graduate School of Education. She interned for the Southern Education Foundation in 2013 and Felecia’s research focus area is HBCU leadership, governance, and administrative practices. Dr. Nelms discusses how HBCU constituents — students, alumni, parents, and supporters–can hold leadership accountable. With years of leadership experience, Dr. Nelms discusses how he managed relationships, his successes, and his philosophy for moving HBCUs forward. He also explains why students and parents have much more power than they think in the higher education community. Dr. Nelms is a passionate advocate for college access and student success. An alumnus of the University of Arkansas at Pine Bluff, he is now a full-time advocate for HBCUs. Dr. Nelms has held chancellor positions at Indiana University East, the University of Michigan-Flint, and North Carolina Central University. Achieved specialized accreditation in six programs including membership in the Association of American Law Schools making NCCU only the third law school at an HBCU to join the association. Subscribe to the podcast through iTunes or via our RSS feed. Be sure to rate the podcast and leave a comment on iTunes.